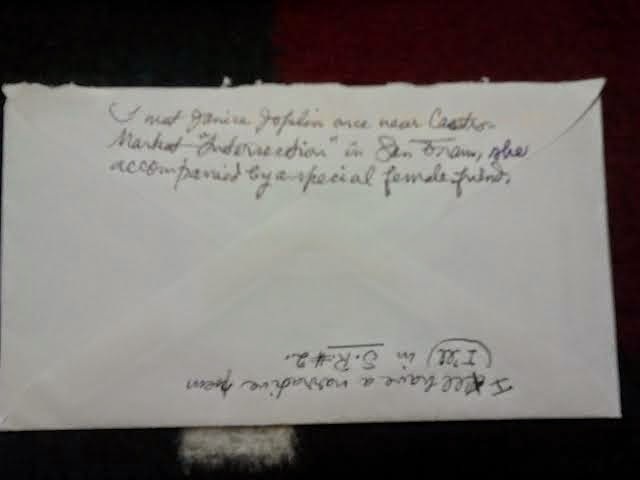 I received a wonderful letter from Don, in reply to one I sent him, and it had many gems of information within. 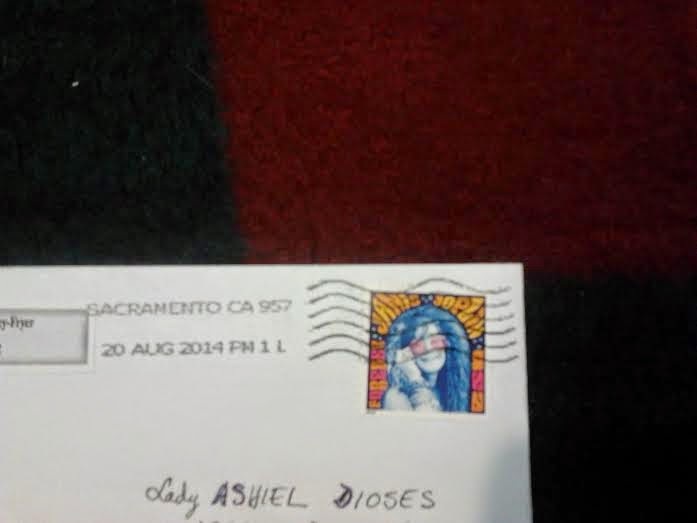 Apparently he met Janis Joplin once, a tidbit he added for she was on the stamp. He will be in Spectral Realms No. 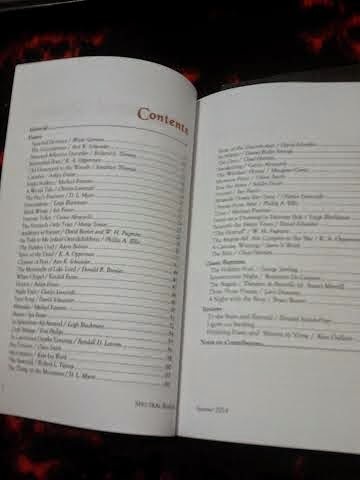 2, which I am very pleased to hear, for it is an honor to be in the same publication as him for a second time. 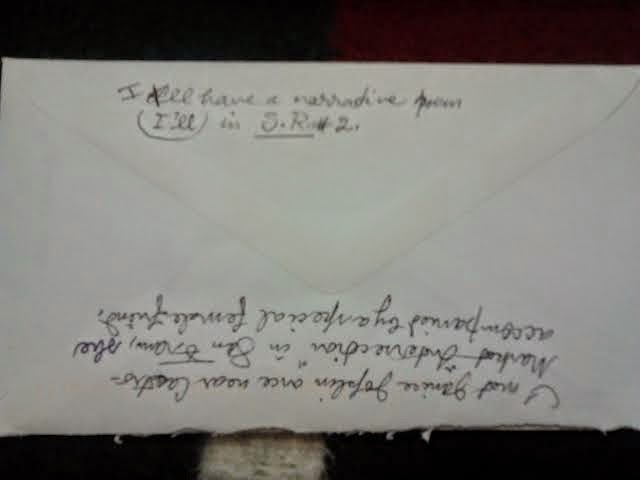 I have been sending Don hand written poems of mine ever since I first started corresponding with him. When Kyle and I visited him in 2013, we each read aloud a poem we wrote and I requested Don to read my favorite poem of his, Your Mouth of Pomegranate. 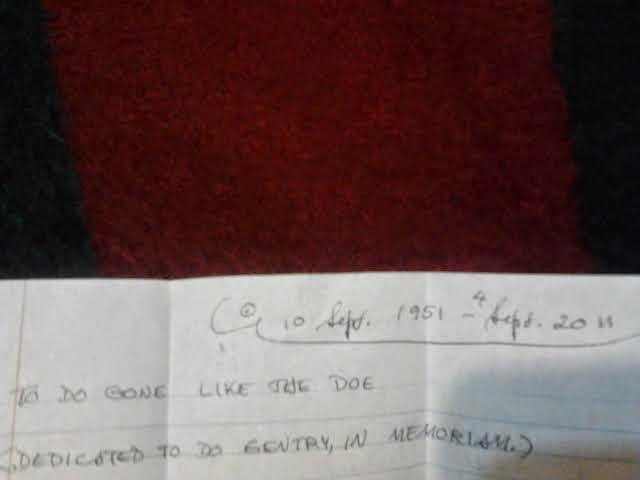 But I have never received a hand written poem of his until now. He had written a touching tribute to his late friend, Do Gentry, who bravely took her own lie in 2011. He hand wrote me the poem and told me a little about her. I have now framed it and will put it on my wall soon. Here is the title. 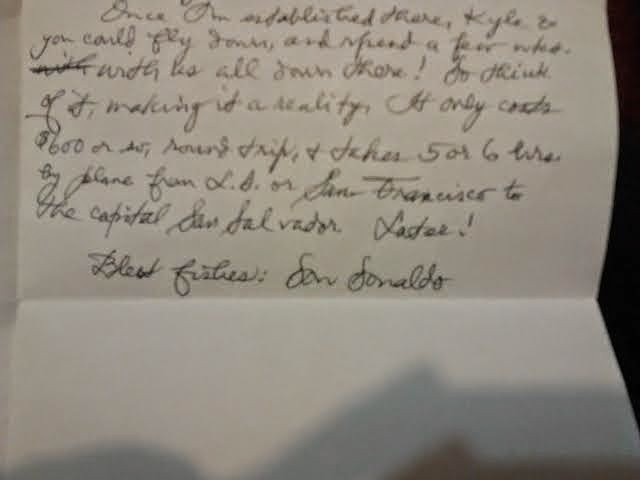 Another extremely awesome thing included in the letter was an invitation for me and Kyle to stay with him for a few weeks in El Savador! Crazy! As much as Kyle and I itch to travel the world and explore its wonders, we have never been out of the country. The farthest I have ever traveled was to Colorado, where I stayed in Larkspur for 2 months. Kyle has not traveled as far as that. It would be amazing to go and explore and learn and enjoy the company of the last courtly poet but for now, I think we shall make the adventure trip to visit and perhaps stay with him in Auburn sometime. I am currently working on my first poetry book. I had the goal to write a poetry book since I was about 12. My dad is a poet and I grew up to him reading poetry and the stories he wrote. He prompted me to write and read. I was never really interested in writing poetry though, until I studied Poe in middle school. 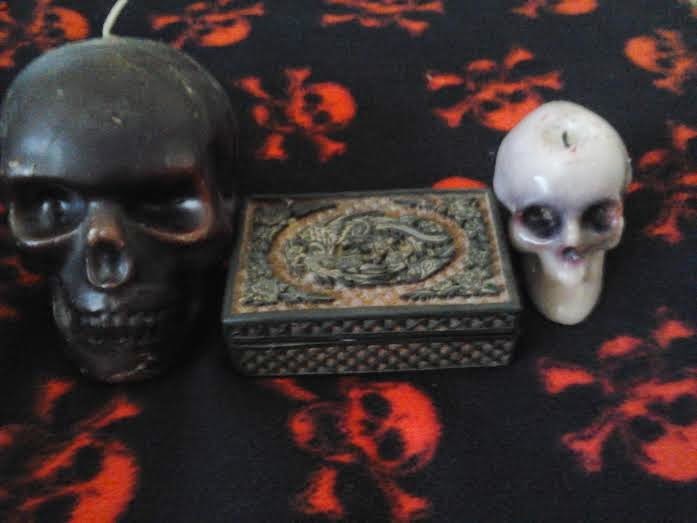 That, paired with Cradle of Filth music and Stephen King novels, fueled my inspiration for my new writing outlet. I wrote a few poems throughout middle school and then wrote one almost everyday in all my math classes through high school. Needless to say, they all sucked. 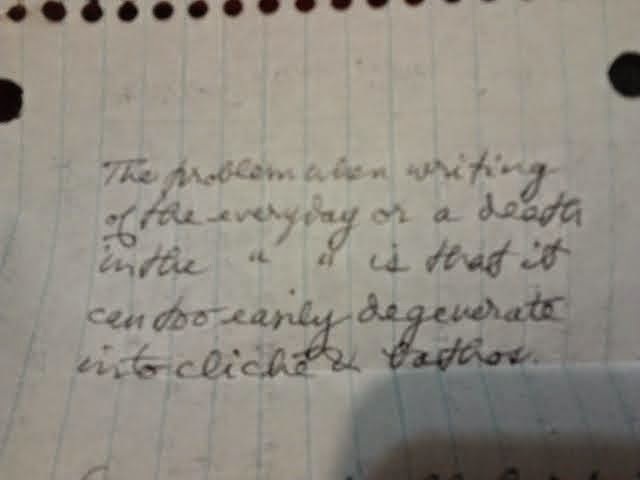 I could not grasp meter and syllable count and other important components to poetry writing. All I cared about was that it was dark and that it rhymed. So I gave up writing poetry. I hoped that I could still get some of them published, so during college I submitted a few to random ezines to see if there were any takers. 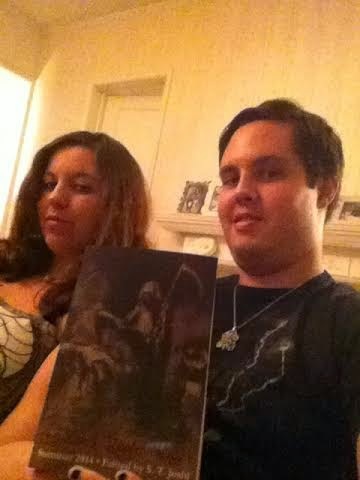 I finally landed a couple in the Horror Zine in 2011. That was when things started to change. Not long after I was published there was I contacted by K.A. Opperman who, at the time, was poetry editor for the Dark River Press ezine. He had read my poems and wanted me to submit to Dark River Press. I happily agreed and he urged me to start writing poetry again and patiently taught me about the important poetry components I was lacking. That's when I started compiling new, better, poetry for a new poetry book. S.T. 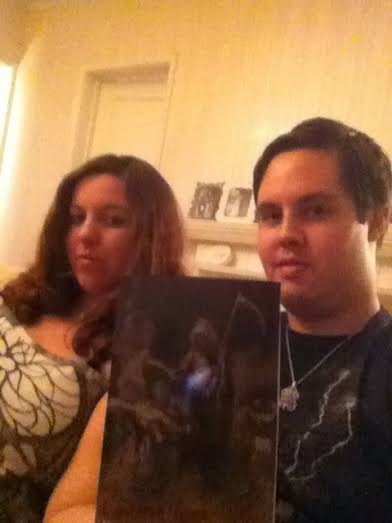 and Derrick have expressed an interest in publishing it whenever it's done in due time for Hippocampus Press. I have about 92 poems so far and am currently in the editing process. 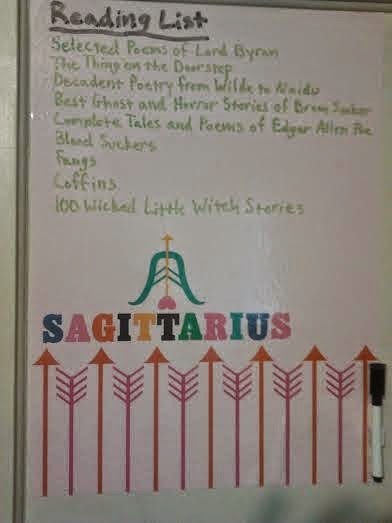 It should be an awesome compilation of horror, weird, and fantastical traditional and formal verse. 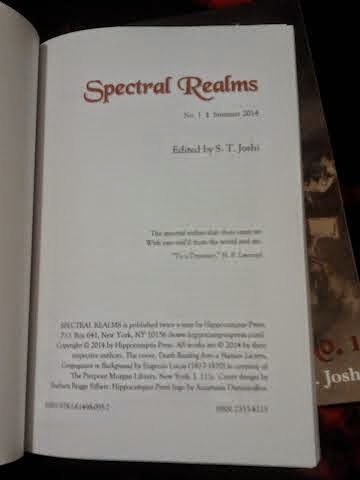 I got three poems accepted for Spectral Realms #2! 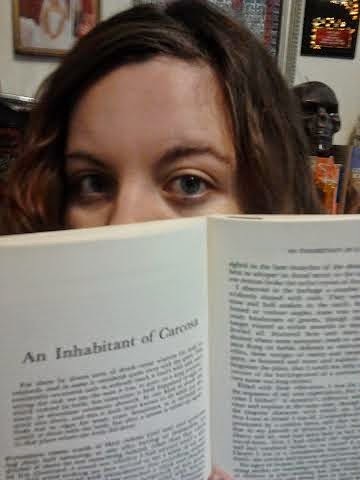 One is titled Ligeia, after Poe's story, and is written in the same likeness as Carathis. 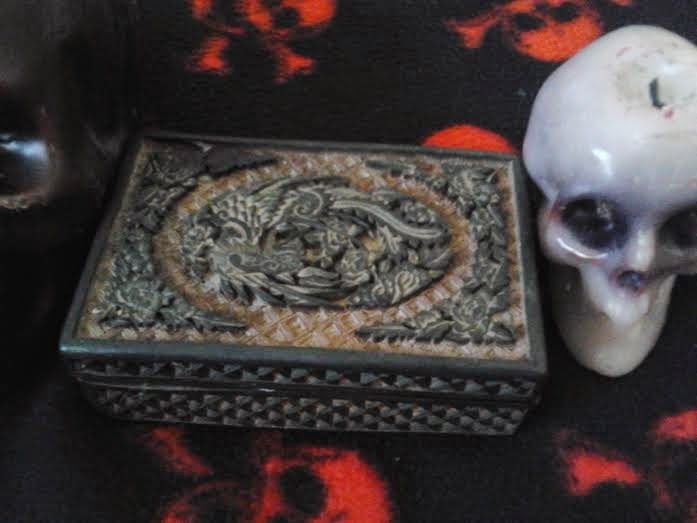 The 2nd is a 'partner' to a poem of mine that will be published in this year's Weird Fiction Review #5, and the 3rd is based off a dying planet, Vexteria, of my creation. Vexteria was first introduced in my short story Infused Realities published by the Horror Zine in 2013. It can be found here. "You w/ 3 poems & Kyle w/ 3 poems as well make a v. good showing, even if all this poetic darkness rather quickly palls as too much of the same monotonous tone & subject!" I had to assure him that my poetry collection will have a few "non-darkling enchantments" in it but I'm a horror writer, so what can I say? And God lies dead before the great white throne!" 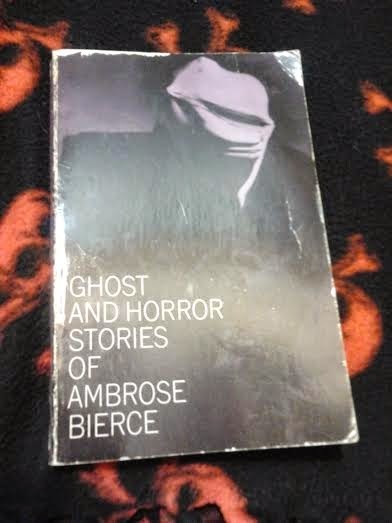 I have just finished reading Ghost and Horror Stories of Ambrose Bierce and will list the stories I think are worth the read. Over all these stories were definitely different and interesting to read if nothing else. Some stories held little of my attention and some I just didn't care for at all but they were few. 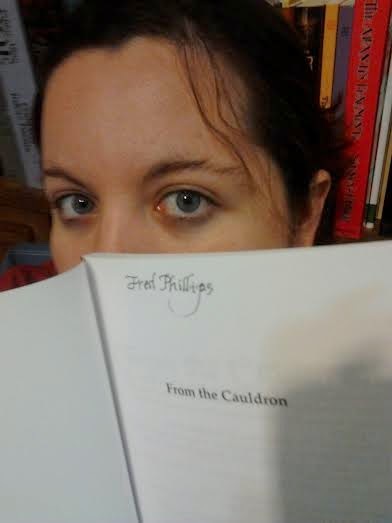 Derrick Hussey gifted me with a signed From the Cauldron! Thanks Derrick! My favorite poem of all time. 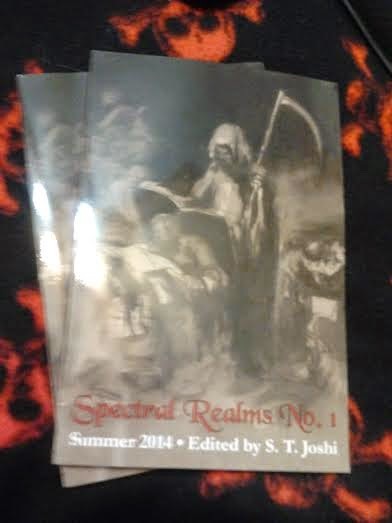 I just received my copies of Spectral Realms Issue #1 today and it is gorgeous!